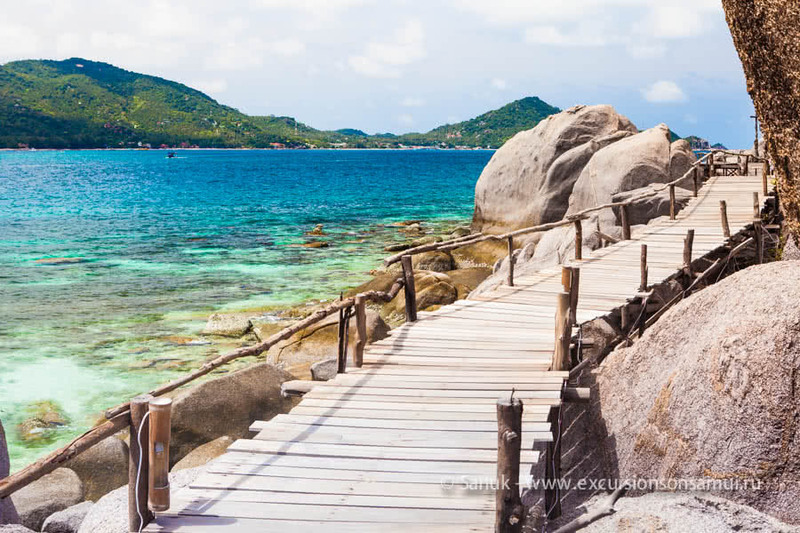 We offer you a selection of tours to Koh Tao. Starting with a standard daily tour by speedboat with a visit Koh Nangyuan (in this case you can choose the pier of departure convenient for you - Maenam or Bangrak). We also offer the similar tours from Koh Phangan. 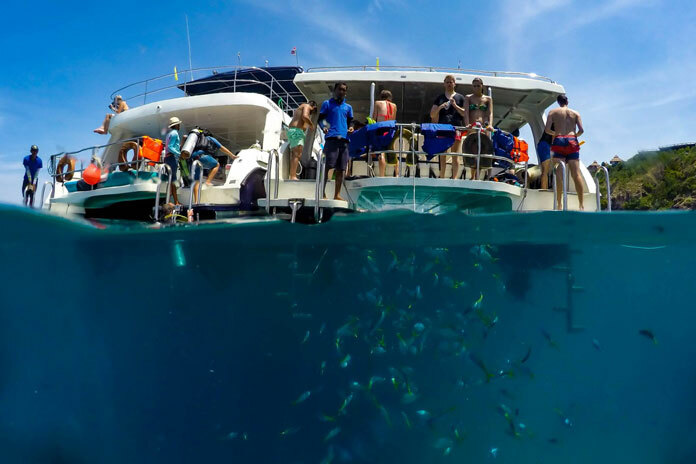 Premium tour by speedboat is designed for people who don’t want to visit Koh Nangyuan crowded with tourists, and wants to enjoy the beautiful snorkeling in the best places for snorkeling around Koh Tao. This is a combined tour for diving and snorkeling. On board a twin-engine boat there will be no more than 12 people, and in the case of a three-engine – 18 person maximum only. This tour is especially suitable for families or groups of friends, where someone wants to dive with scuba-diving (both certified and not-certified divers), and someone just swim with a mask and snorkel. 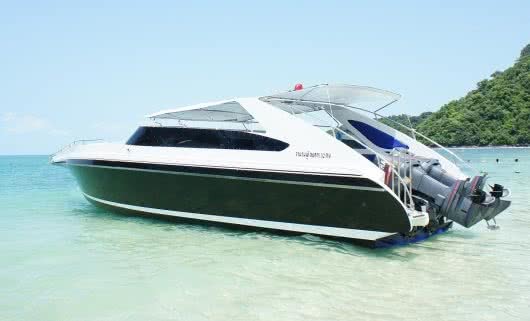 VIP tour to Koh Tao by speedboat with a maximum of 12 people on board. 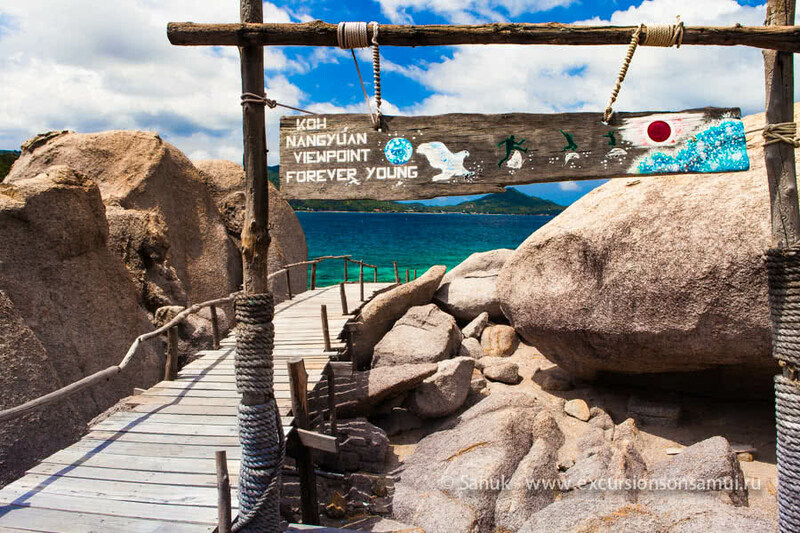 Tour without Koh Nangyuan visit, in order to avoid crowds of tourists. It is built so that you visit the most beautiful and deserted places for snorkeling. In this tour, we guarantee you a five-star boat & service! 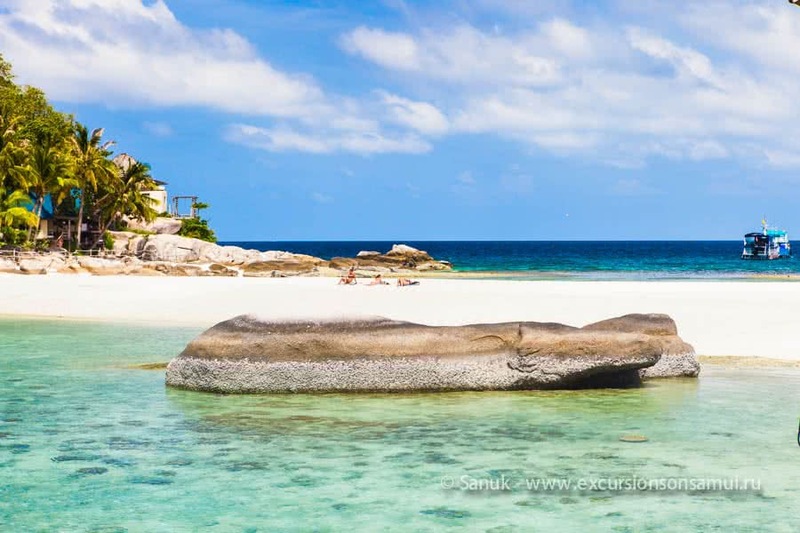 If you prefer a more comfortable option – not by speedboat, but by speedy catamaran, if you travel with children, if one of your group wants to try diving, then the ideal is Koh Tao tour by catamaran. Tours on Tuesdays, Thursdays, and Saturdays. In addition, if you don’t have much time on the tour, by the same catamaran on Sundays you can book an www.excursionsonsamui.com/tour/diving-tours-non-certified-divers/">unique combined tour of Tao-Angthong. We try very hard to offer you what others can not offer! Entrance fee for Adult 100 THB, for child 50 THB is not included. For private tours included: crew, soft drinks, snorkeling equipment, life jacket, English speaking guide. Not included: transfer, lunch, kayaking, entrance fee. 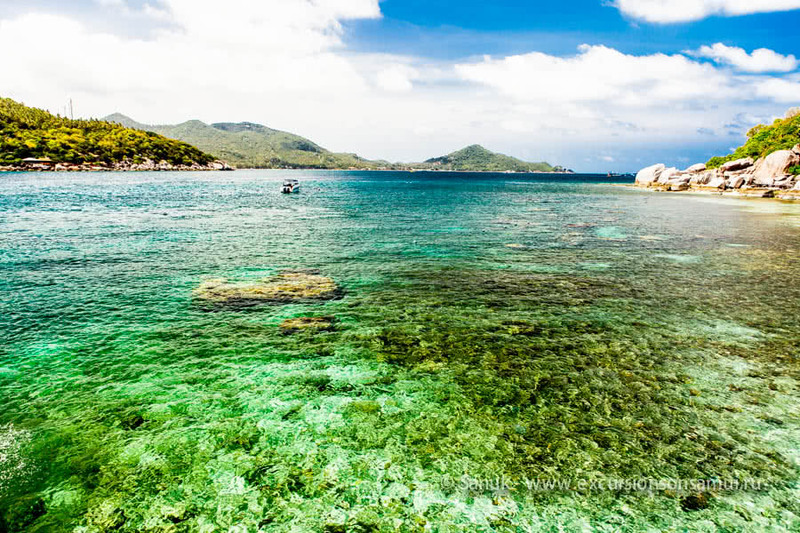 This comfort tour by speedboat is designed for people who don’t want to visit Koh Nangyuan crowded with tourists, and wants to enjoy the beautiful snorkeling in the best places for snorkeling around Koh Tao. This is a combined tour for diving and snorkeling. On board a twin-engine boat there will be no more than 12 people, and in the case of a three-engine – 18 person maximum only. This tour is especially suitable for families or groups of friends, where someone wants to dive with scuba-diving (both certified and not-certified divers), and someone just swim with a mask and snorkel. The tour provides a snorkeling guide that can show you around and keep you safe in the water if you feel uncomfortable to go by yourself. Of course, there are always have life jackets on the boats too, just let us know if you think you need one! 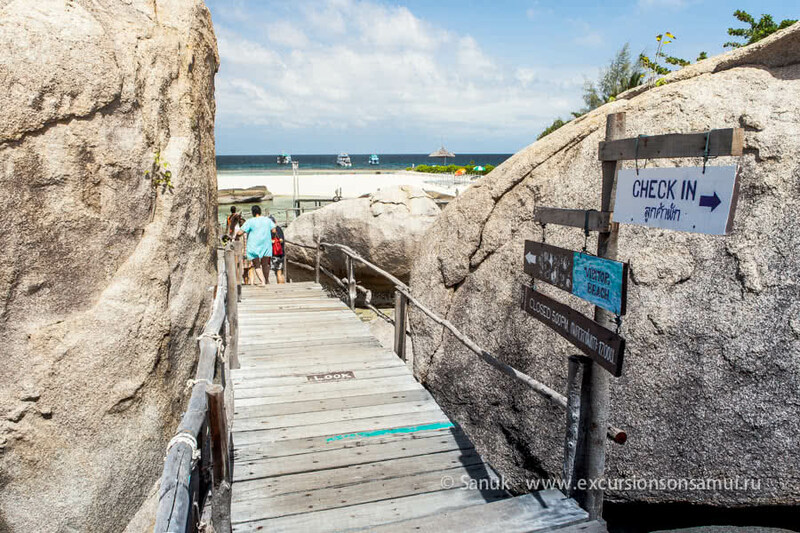 With this tour, you do not visit Koh Nang Yuan as one of our snorkeling locations, as the island does get very busy as all the larger ferries and tour boats also use this as one of their snorkeling locations and in addition, you are not allowed to take your snorkeling fins onto the islands. The snorkeling at Koh Nang Yuan is very limited and generally, all you see is a mass of orange life jackets floating near the beach. For the snorkeling, we find alternative snorkeling locations such as Mango Bay, Japanese Gardens, Hin Wong Bay or Aow Leuk Bay – actual snorkeling locations on any given day will be dependent on the time of year and prevailing wind direction. Please note that the focus of our Koh Tao tour is on the in water activities and the snorkeling – a lot of the snorkeling is done from the boat. This is not beach hopping / relaxing on beaches tour. 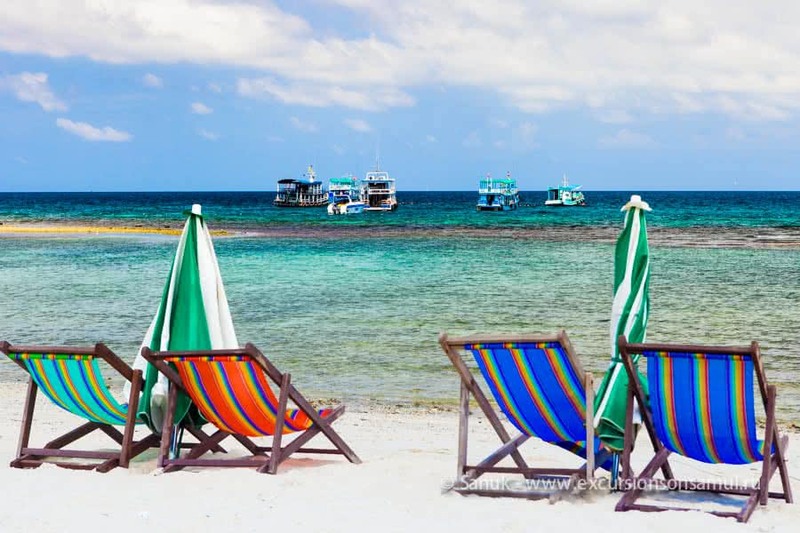 Koh Tao – 2 dives at a quiet and easy dive and snorkeling sites, sheltered from wind and waves. During an hour and a half journey on a comfortable catamaran Mintra, divers will meet their scuba diving instructor for briefing and snorkellers will relax and enjoy wonderful sea views. Long dives and relaxed snorkeling in quiet bays sheltered from strong currents are typical for this tour. Popular dive and snorkeling sites are Japanese Gardens, Mango Bay, Hin Wong Bay, Lighthouse Bay or Ao Leuk. From the surface, it’s usually easy to see the bottom so descents become an easy thing. The diving on this tour takes place at depths of 12 to 18 meters. If you’re at the beginning of you diving career or if you haven’t been diving for a long while, then this is the best tour to start with. Another advantage of this tour is that along with diving also snorkeling, discover scuba diving and diving courses take place. Koh Tao itself is the ‘pearl’ of the Gulf of Thailand in terms of reef life. Stingrays, seahorses, sea snakes, moray eels, barracudas, nudibranchs, groupers, turtles and a seemingly infinite number of interesting reef fishes are inhabiting these reefs. Therefore, this tour is perfect for snorkelers, diving students, beginners, discover scuba divers, as well as for experienced divers. 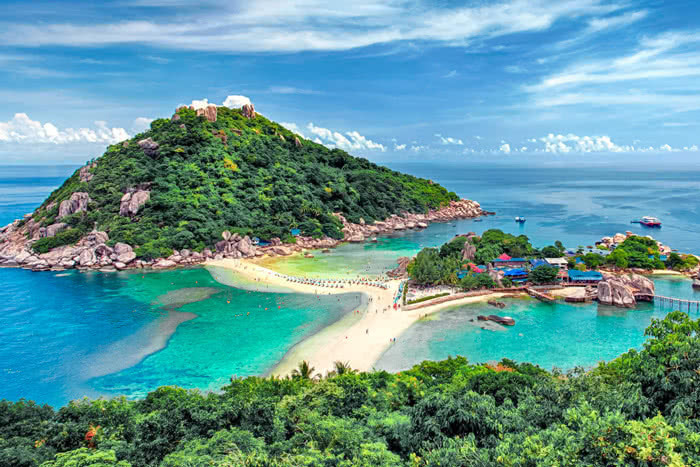 A wide range of different dive sites with beautiful, colorful reefs and a large number of lovely fishes and reef creatures make Koh Tao the top diving area in the Gulf of Thailand. Reviews for "Full day speedboat tour to Koh Tao and Koh Nang Yuan from Samui and Phangan"
We went on the excursion to Koh Thao, and it was amazing! The transfer got us there easily and on time, and things were set up very well. The guys on the speedboat explained the schedule throughout the day, and repeated what they were saying several times to make sure everyone understood. They were so very kind and helpful, helping us up without any judgement or laughter, took their job seriously but wanted to take care of us. They supplied us with endless water and fizzy drinks, pointed out the best places to go snorkelling, and their English was very good indeed. I can’t thank them enough for their kindness, especially with the couple who felt very seasick! Thank you so much. We went to 2 islands with the boat. The snorkelling in koh tao was amazing. really loved it. The beach of nang yuan was beautiful and totally for relaxation. It is really nice to explore thailand. Took awesome photos. The lunch is included in the price and bottles of water for the trip as well. Wonderful sea excursion on a speed boat. Snorkeling was very interesting. Smorgasbord is for lunch.